We would love for you to take a minute to leave us a review or testimonial. 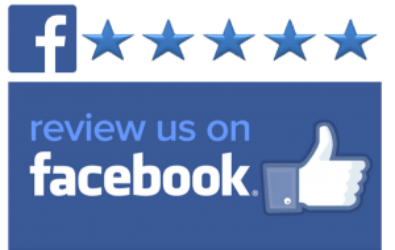 If you would like to leave a Facebook review click the Facebook Image. If you would like to leave a Google Review click the Google Image. And, if you would like to leave a Video Testimonial just click on the Red Record Video Button below. When they click the image it would go to your Facebook Review Page. Like to Leave A Video Testimonial Instead? Just scroll down to the Red Record Video Button. Imagine having the ability to send your patients to a page on your website and with one click their webcam and microphone are automatically turned on and they can leave you a video testimonial, any time day or night, 7 days a week, 365 days a year. Then that video is automatically saved and you can upload it to your YouTube Channel and create an unlimited series of videos testimonials for your website, Facebook, your blog and anywhere else you choose. Sound impossible? Well go ahead and click the Record Video button and try it out. Make it a good one and we’ll even add it to this page so you can see how simple it is to collect all the video testimonials you want. A great chiropractor and runs one of the best functional medicine chiropractic offices in the country. I would go to her myself she is that good. Always impressed with Cat. She is a natural in front of the camera and her cooking videos are the best on YouTube. A great chiropractor, great learner and dedicated to his patients and his practice. A great friend and one of the best functional medicine practitioners in the country. A great chiropractor, an excellent student of marketing and has an adorable dog. We have worked together on a number of projects. She is a powerhouse. A great friend and amazing marketer. I taught Dr. Tabor how to do his first live Google event. Better known lovingly as the “Tech Whore” there is nothing she can’t do. The only person I’ve met that I myself would hire to do my marketing she is that good. I want the Complete SYSTEM which includes the all the Video Testimonials I want on autopilot, the Complete 52 week Video Package, my own website, all the Exit Strategy engagement tools, the Doctors Resource, my own marketing coach and all the trainings to get all the new patients I can handle.